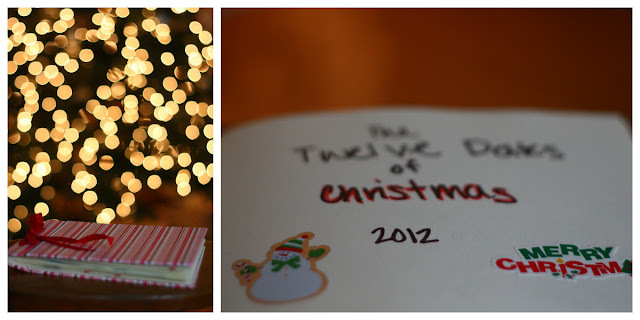 The twelve dates of Christmas was much more successful this year and I am convinced that was due to my planning ahead. Twelve dates in twenty-four days is a feat in itself. Add on top of that various Christmas parties and last minute shopping and things could get crazy fast. Thankfully nothing ever got crazy. It was just busy. The real reason I think the twelve dates of Christmas was such a success was because at each date we were fully unplugged and fully engaged with each other and that really was fabulous. The other thing that made everything run smooth is I had all the dates planned in advance. That means, I picked when and where we were going. And if the date was at home, I had all the supplies stashed away somewhere and set up once the kids were in bed. No trying to make decisions as we went along. And a few specifics about some of the dates. We played checkers at home on game night. When we were dating, we used to go to Starbucks and play checkers almost every night. Apparently Ian has forgotten how to play because I kept majorly beating him. The go cart rides were so freaking fun. It was freezing and we were the only people there. The guy let us go for what felt like forever. My cart was way faster than Ian's. We had a lot of fun hitting each other, even if the signs said not to. Oops. We aren't much for following rules anyway. Our movie date was the first time we have watched an entire movie in the theaters since Connor has been born. We tried once when I was pregnant with Isla, but had to leave because I was having coughing attacks. I was actually planning a date where we would leave town. Ian decided he wanted to plan a date and planned a day over in San Francisco for us. So that one worked out perfectly! Our smores by the fire date never actually happened, and it was the one date I wanted to happen the most. Every time I scheduled for our fireplace to be inspected (we have never had it done) it would start pouring down rain around the time of my appointment and the guy would cancel. This happened three times. I guess it wasn't meant to be. All in all, it was great fun. It helped to remind me how necessary it is to unplug and fully focus on my hubby from time to time. And, it inspired me to think outside the box when we do dates. I love this idea!! And so cool you guys got to go to SF for a day! Go Ian!! Awesome! Thanks for sharing. It is fun to think outside the box... once you start, I think it becomes easier & easier to do. I taught Jordan cribbage this summer, but I don't think we've played since then. I should plan a game night for the two of us soon.